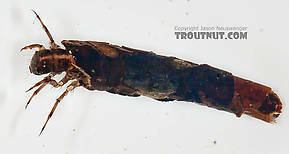 These are very rarely called Northern Caddisflies. 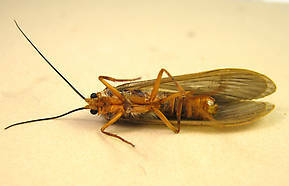 This huge family appropriately contains huge caddisflies. 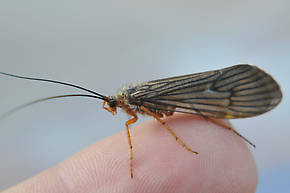 Many of its genera are important, but the western genus Dicosmoecus (the Giant Orange Sedge or October Caddis) is especially important as a big-trout hatch. The fact that fly fishermen need broad principles of biology, not a collection of exceptions, makes it difficult to handle this family. I recommend learning which genera or species are prevalent in your area and studying them specifically.